The main Greek New Testament texts used in New Testament studies are eclectic. That is, their ‘finalized’ forms are compositions of various readings from a variety of manuscripts as opposed to being equivalent to one complete New Testament manuscript. Because the texts of various manuscripts differ at points (these differences are known as ‘varients’), methods are used to conclude which reading is most likely the original one. (This process of determining the most likely reading is known as ‘text criticism’). Novum Testamentum Graece: Nestle-Aland (e.g., NA28) – Used in Trinity courses. The Greek New Testament by United Bible Society (UBS). 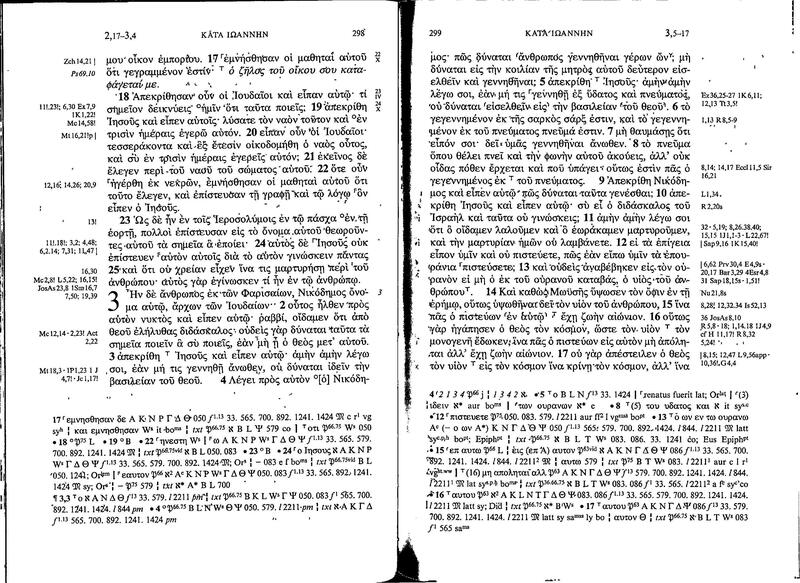 The Greek New Testament According to the Majority Text. The Textus Receptus Greek New Testament. A Textual Commentary on the Greek New Testament – Bruce M. Metzger – Provides helpful commentary on text critical decisions made in the UBS. Eberhard Neslte, Erwin Nestle, Barbara Aland, Kurt Aland, Johannes Karavidopoulos, Carlo M. Martini, and Bruce M. Metzger, eds., Novum Testamentum Graece: Nestle-Aland, 28th ed. (Stuttgart: German Bible Society, 2012), 298-299. * Click on photo for larger image. This post’s information can be found within Rolfing Library’s research guides. 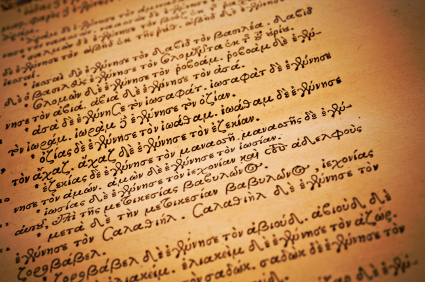 See the guide to Greek NT Eclectic Texts.